A holy city in three major world religions, it is not surprising that the iconic attractions in Jerusalem are almost exclusively religious sites. 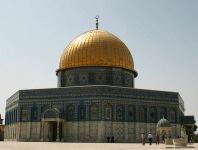 However; whether you are a pilgrim or a sightseeing tourist, attractions like the Church of the Holy Sepulchre, Temple Mount and the Western Wall are enthralling because of their age and global significance. Exploring Jerusalem's religious sites, like Bethlehem and the Via Dolorosa, is rewarding even with a secular mind-set because the cultural and historical aspects of these famous places can be extremely interesting. Of course, for the faithful, these sites are profoundly important. 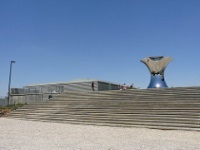 If you are interested in the political situation, and the history of Israel and the Jewish people, there are a number of world-class museums to visit in Jerusalem, including the Israel Museum and Yad Vashem (the Holocaust memorial museum). 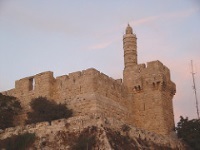 The Tower of David, also known as The Citadel, also houses a remarkable museum. 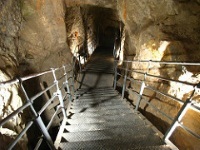 For lovers of history there are gems like Hezekiah's Tunnel, dug as a water conduit under Jerusalem about 2,700 years ago, and Masada, an ancient fortification set on a picturesque mountaintop - Isreal's most popular paid attraction. Things to see and do in Jerusalem also include natural attractions, many of which, like the Mount of Olives and the Garden of Gethsemane, have religious significance. Worthwhile excursions out of Jerusalem include trips to the eternally popular Dead Sea, and the unique, crater-like Makhtesh Ramon rock formation.